EC705 The seven stones of the chakras are laid out on an Om. With the Shanti Boutique's original chakra jewellery, you can work on individual chakras or all seven at once. 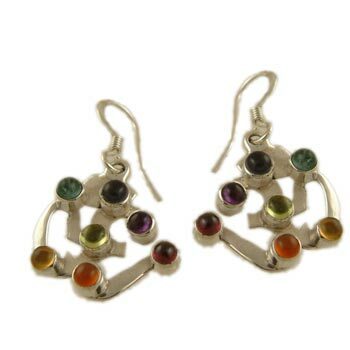 Click on each chakra below to see jewellery that specifically relate to that chakra.